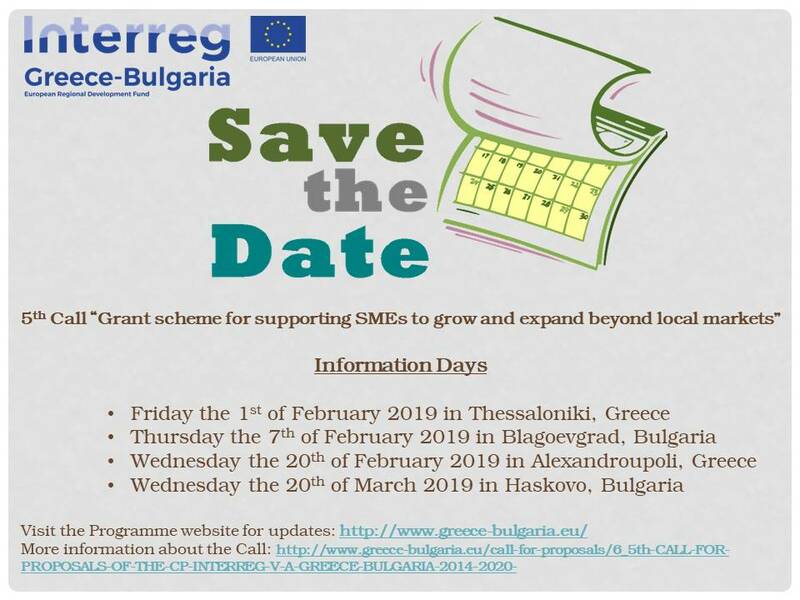 The 5th Call of Project Proposals “Grant scheme for supporting SMEs to grow and expand beyond local markets”, under Priority Axis 1 “A Competitive and Innovative Cross-Border Area” of the Cooperation Programme INTERREG V-A “Greece-Bulgaria 2014-2020” has been announced! Stay tuned for updates and possible rearrangements! For more information about the Call click here.